The Supreme Court today refused to pass any orders on the plea by a law intern for allowing entry into courtrooms on miscellaneous days also but asked a petitioner intern Swapnil Tripathi to submit guidelines to the Attorney General K K Venugopal regarding creation of a live streaming room in the apex court premises exclusively for law interns and law students. Presently entry of law interns and law students are barred on Mondays and Fridays- the miscellaneous days when large number of public interest litigations is heard. This, according to the Registry, is done essentially to control the crowd in the court premises. Tripathi is one of the petitioners in the case in which the apex court is considering permitting live streaming of important cases. “Give your suggestion to Attorney General. We can consider it”, Chief Justice Dipak Misra told Tripathi, a fifth-year law student pursuing BBA.LLB (Hons.) at National Law University, Jodhpur, who was arguing in person. 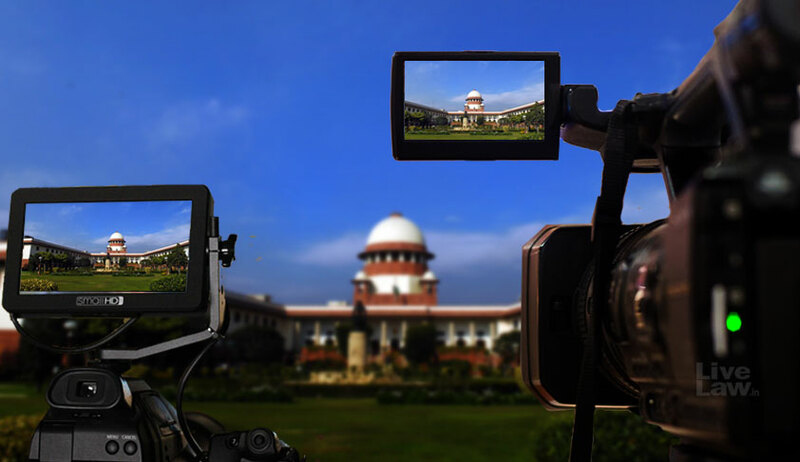 Justice D Y Chandrachud said when Tripathi sought permission to enter courtrooms on all days” “Live streaming of important court proceedings will solve some of your problems. Why stand in a crowded court when you can watch them on a screen”. Said Tripathi’s petition: “Issue a writ of mandamus or any other writ or direction to the Respondent to construct live streaming rooms within the Supreme Court premises granting access to legal interns, Issue any other requisite guidelines to facilitate witnessing of proceedings for the interns. Tripathi has questioned the validity of the notification issued by Supreme Court Registry “vide notice dated 21.08.2013 which prohibited law interns from entering the Court premises on Miscellaneous Days i.e. Monday and Friday”. “Prohibition of law interns on miscellaneous days hampers the scope of learning expected out of litigation internships as most of the important arguments and leading cases are listed and heard on these two days only, therefore denying interns entry on those specific days, defeats the very objective of a legal internship and the provision. Further, such a denial vide the notification also violates the fundamental rights of the law interns”, Tripathi’s petition added. The ban had been enforced by the Supreme Court Registry to reduce congestion in the courtrooms on those days when the court witnesses the maximum crowd with large number of PIL litigants and related parties also arrive in the court.